It isn’t easy to get to Antoniyevo-Siysky Monastery (Антониево-Сийский монастырь); only pilgrims usually venture to go there. Why would one go there and what are the difficulties? The monastery is quite old; it has been founded in 1520. About a century later the father of Michael, first Romanov tsar (цар Михаил Романов), Fyodor Nikitich Romanov (Феодор Никитич Романов) had been exiled in this monastery. So this is an historic spot. The monastery lies quite close to the M8 and has an easy access, if you have a car. 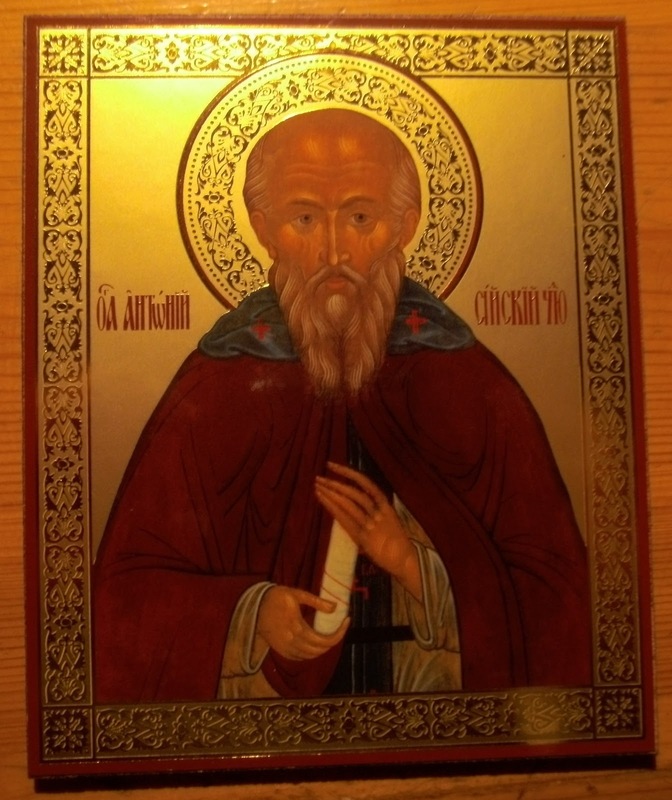 The monastery is about 150 km South of Arkhangelsk and you don’t have public transport. It isn’t easy to rent a car in Arkhangelsk and I’ll tell later, how we succeeded to rent a car. You can have a look at Google maps – here’s the link: https://maps.google.de/maps?q=63.55%C2%B0+N+41.55%C2%B0+E&hl=de&ie=UTF8&ll=63.553522,41.556129&spn=0.00538,0.01487&sll=64.533996,40.577273&sspn=0.010389,0.02974&t=h&z=16. A winding road next to lakes took us to the gate of the monastery. We’ve seen a couple of perplexed monks as nobody expected tourists coming to the monastery with the holy trinity cathedral. The cathedral has been built on a peninsula of Mikhailovskoye Lake. I’ve read about 13 monks living there and 60 workers. The numbers might not be right, but give an impression. There’s lots of work still to be done to counteract, what time and times have been doing to the buildings. The cloister has been reopened in 1992; before it served different purposes. The last (current?) 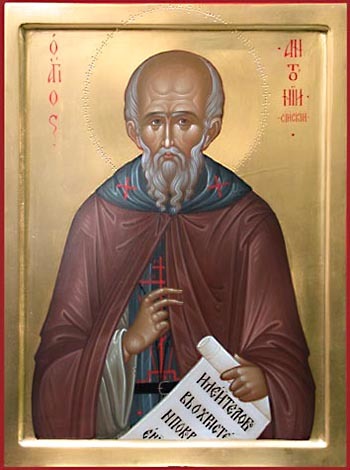 abbot’s (Архимандриты) name is Varlaam (Варлаам Дульский). At unter http://siya.aonb.ru/index.php?num=512 you can find an old drawing and compare it with the pictures, I show here. As I reached Odessa by train from Kishinev, I still had some Moldovan Lei in my pocket. Odessa is an open-minded city. You get to know friendly people very quickly. There is one exception: when it comes to changing Moldovan Lei. No money changer in the city changes Moldovan Lei. I’ve been to different banks and now I know all the shades of terse, brash, and unfriendly. The worst has been in one bank quite near to my hotel. The account type of an elderly woman in the glass box was yelling at me to read the notes on her box. Actually there were like 20 print out pages glued to the glass – and I’m not fluent in Russian. O.K. on one sheet I discovered the currencies this bank would change and the Moldovan Lei wasn’t one of these. I left the bank and looked back – Bank Antarctica. I should have known from the name that the employees of this bank must have been chosen for their quality of being ice cold. Nevertheless I didn’t give up and had the idea to go back to where I started, right, the railway station. West of the station is a small flea market and there is ONE money changer, who accepts Moldovan Lei. Mrs. A. R. is 52 years old and is suffering from rheumatoid arthritis since 1994. Last rheumatoid factor has been measured at 392 IU/ml; CRP has been 3.5 mg/l. At the last consultation two joints still were swollen. DAS28 = 3.64, RADAI 4.0. She has been receiving 40 mg adalimumab s.c. every two weeks since 2003. 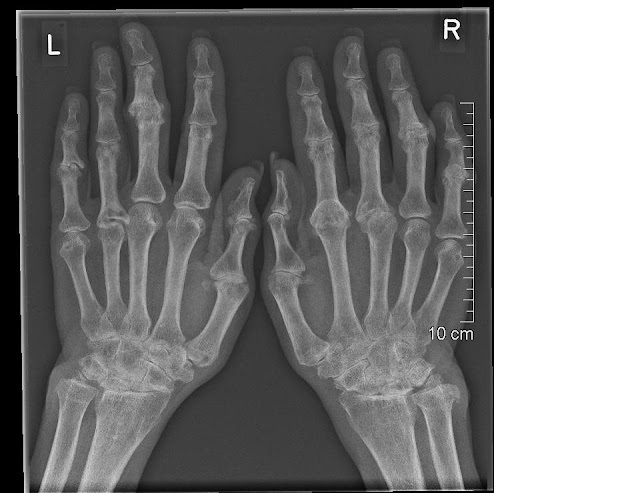 X-ray charts of hands and feet showed erosive disease, which hasn’t progressed in recent years. 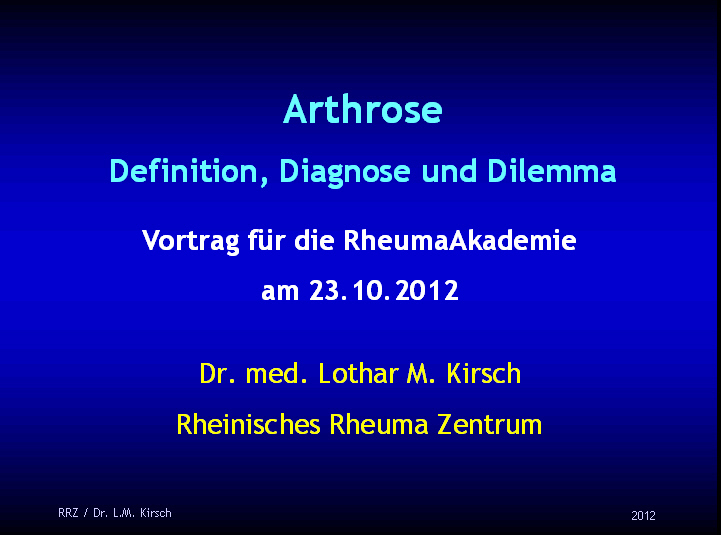 This is a photograph of the actual rheumatologic examination. The joints with circles are synovialitically swollen in the palpatory examination. If you look at the photograph of the hands, you might get the impression that also the MCP-3 joint of the left hand and the MCP-5 joint of the right hand are synovialitically swollen. Actually these swellings are due to post arthritic osteoarthritis, which aren’t activated, but might show acceleration in the future, which isn’t due to inflammation. The X-ray chart shows erosive disease. 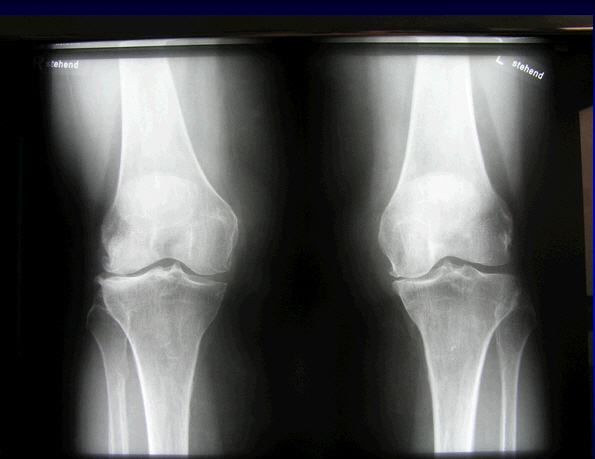 All in all in rheumatoid arthritis you need to look at joints, feel the joints, and use X-ray (or another equal method) to evaluate, where the disease stands. Relying on one method only might under- or overestimate disease activity and lead to wrong therapeutic decisions. So, a quick look isn’t giving the best of care. This is a very basic guide to Russian. I took the effort to learn some Russian before travelling to Ukraine and Russia. I learned quite a lot and it helped to read road signs and eventually to rent a car, but I thought maybe less would be more. Let`s start this very basic guide to Russian with something completely different. What makes a vacation on Oahu or another Hawaiian island Hawaiian? It´s the way people in the tourist business talk to you. They use only a few words of Haiwaiian and use them instead of the English words. They use aloha (hello), mahalo (thanks), ukulele, wikiki (fast), and you come acrosss moku (island), pali (cliff), lu´ao (feast), poi (pounded taro root), a´a (sharp lava), pahoehoe (smooth lava), mana (spiritual power), hula, kapu (taboo), and aloha oe (goodbye). Moreover you quickly know that you are a haole (foreigner). All in all the Haiwaiian impression is made with only a few words. Let´s come back to the very basic approach to Russian. Start learning a few words, but learn these to perfection, so that they come to your mind without thinking. You don´t need all the possible forms of greeting, just stick to one. After having learned these you go on to basic Russian. Then you start with the words a tourist might need to go around or to book a small hotel, to buy something and so on. If you plan to stay a four star hotels you don´t need the vocabulary to book a room, learn something else. Learn numbers. And then you might start a languange course, but that´s the stird step. Learn the Cyrillic alphabet, not only the printed letters but also the handwritten form as you will see these letters in italics. Some people think they can learn it on a two hour flight - njet, it isn´t that simple (and I have learned Chinese characters and the Greek alphabet before). That will take some effort and time. But I think it´s a good start. Don´t stop here, learn more! Soon you will decipher Владимир, Санкт Петербург, Архангельск at ease. PS. Mistakes are my mistakes! As we visited St. Petersburg (Санкт-Петербург), "Crime and Punishment" (Преступлéние и наказáние, 1866) is a must. Fyodor Dostoyevsky´s (Фёдор Михайлович Достоевский) home (actually he changed address in St. Petersburg for about 20 times) can be seen from the outside and Raskolnikov´s (Раскóльников) home is directly across the street. You can see a statue of Raskolnikov at the corner of an appartment house. Then one can follow Raskolnikov to the home of the old woman moneylender, whom he has killed. You can't go inseide the house as the people living there got tired of tourists. But bloodshed doesn´t end here. You could go to look at the chair in which Pushkin had died. Or see, where Galina Vasilyevna Starovoytova (Галина Васильевна Старовойтова) has been shot - her home has been next to the base of a special police unit (Link to Wikipedia: http://en.wikipedia.org/wiki/Galina_Starovoytova). And you can also visit the grave of Fyodor Dostoyevsky. Da bietet ein Pelzladen auf der Düsseldorfer Kö eine Preisreduktion um 50% auf Pelzwaren an. 50%! Wahrscheinlich läuft der Verkauf von Pelzwaren so schlecht, dass man Preisrabatte wie im Teppichhandel geben muss. Aber das ist in meinen Augen gut, denn Pelzwaren sind Waren, an denen Blut klebt. Entweder werden Wildtiere geschossen, die sowieso immer weniger werden, oder es werden Zuchttiere getötet, die vorher in Käfigen gequält wurden. Ich bin nicht nur gegen Pelzwaren, ich bin sogar gegen Pelzimitate, da sie das Verlangen nach "echtem Pelz" fördern. Die Rede ist von einer "Vielzahl attraktiver Pelzunikate zu Preisen, bei denen Sie nicht Nein sagen können" - ich sage ganz klar: Nein! Nein zum Handel mit Pelzen! Stress wirkt sich schädlich auf Gesundheit und Wohlbefinden aus. Vielen Menschen ist ihr eigener Stress gar nicht bewusst. Perfektionismus ist nur ein Faktor, der bewirkt, dass man macht, was ungünstig ist, nämlich immer wieder in die gleichen Fallen zu tappen. Schlechte Laune, Müdigkeit, sich ausgelaugt fühlen, Fatigue, Gereiztheit und weitere stellen sich früh als Stress bedingte Symptome ein. Später kann der Frust zu Unzufriedenheit mit dem Beruf und im Privatleben sowie zu psychosomatischer Erkrankung führen - das kann ein Burn-out-Syndrom oder ein Fibromyalgiesyndrom oder auch eine ganz andere Erkrankung sein. Perfektionismus ist keine Erfindung der Neuzeit, aber es findet eine Akzentuierung statt. Schon in der Bibel und zwar schon im Alten Testament findet man Warnung vor Perfektionismus: "Sei nicht allzu gerecht und gebärde dich nicht übermäßig weise, damit du dich nicht zugrunde richtest." Prediger 7,16. Oder das Gebot des Einhaltens des Sabbats, also sechs Tage Arbeit und einen Tag Ruhe, wie es im 2. Buch Mose 20, 8-10 geschrieben steht. Oder: "Besser eine Hand voll Ruhe als beide Fäuste voll Mühe und Haschen nach Wind." Prediger 4,6. Wir finden sogar einen Therapiehinweis: "Das ist die Ruhe! Schafft Ruhe dem Erschöpften! Und das ist die Erquickung!" Jesaja 14,1. Warum sind wir in fast 3 Jahrtausenden nicht schlauer geworden? Oder besser, warum finden wir nicht Wege, die uns davor schützen? Diese Wege sind aber da, sie sind bekannt, aber sie werden nicht beschritten. Wir sind uns über Ziele und Wege nicht klar genug. Wir benötigen klare Ziele und dann den Weg dorthin. Gerne wird gesagt: "Der Weg ist das Ziel!" Nein, in diesem Zusammenhang nicht, denn es fördert nur ein zielloser umherirren. Das Ziel ist das Ziel, aber den Weg dorthin brauchen wir schon. Was könnten Wegweiser sein? Zeitdruck erkennen. Perfektionismus reduzieren, kann auch Zeitdruck reduzieren. Pausen dürfen unter Zeitdruck nicht wegfallen. Arbeitsüberlastung erkennen. Bei Feierabend einmal nachschauen, was man alles an diesem Tag geleistet hat, und was dabei völlig überzogen und zuviel war (Perfektionismus Falle!). Welche Arbeiten können aufgeteilt werden? Und zwar nicht nur zeitlich sondern auch personell! Freizeit kann auch ein Betätigungsfeld für Perfektionismus sein. Wird die Freizeit dem Hausputz oder der Pflege von Verwandten geopfert? Wird im Sport überzogen auf eine Leistung hin trainiert? Hier gilt es auf ein normales Maß zurückzufinden. Natürlich müssen Haus geputzt und auch Verwandte gepflegt werden, aber es muss auch Freizeit für uns selbst übrig bleiben. Denn "für alles gibt es eine Stunde und jedes Ding hat seine Zeit." Prediger 3,1. Sport ist empfehlenswert, aber das gilt für den Wohlfühlbereich, nicht für den Leistungsbereich. Eine Hilfe hierbei kann ein Terminkalender sein, aber nur wenn man die Termine für sich selbst nicht einfach aufgibt. Zusammenfassend ist der Abbau von Perfektionismus bei Fibromyalgie, aber auch bei anderen Erkrankungen, ein lohnendes Ziel. Suchen Sie die Wegweiser und gehen Sie los! We treated a young man suffering from ankylosing spondylitis with Infliximab. The risk for developing tuberculosis is well known. He is 24 years of age and has a Eastern European migratory background. Ankylosing of the sacroiliac joints already is pronounced. 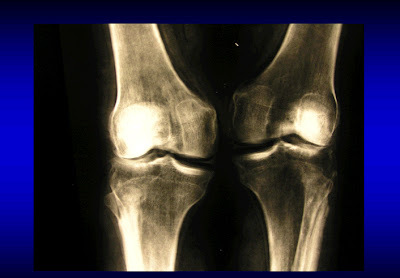 He is also suffering from advanced secondary osteoarthritis of both hip joints and peripheral arthritis. Morning stiffness lasted 2-3 hours. BASDAI (Bath Ankylosing Spondylitis Disease Activity Index): 7,8. BASFI (Bath Ankylosing Spondylitis Functional Index): 9. BASMI (Bath Ankylosing Spondylitis Metrology Index): 4. HLA B27 positive. Testing with IGRA (Interferon-Gamma Release Assay) has been negative as well as serologic markers for Hepatitis B and C. Initial CRP 124.3 mg/l and ESG 61 mm. After initiating a therapy with methotrexate due to peripheral arthritis, we also initiated infliximab at 5 mg/kg body weight, which was 300 mg. Medication: 1-0-1 ibuprofene 400 mg 20 mg pantozole; 10 mg Methotrexat s.c. per week, followed two days later by 5 mg folic acid. Follow up showed a happy patient with a CRP 2.4 mg/l and ESG 14 mm; leucocytes dropped to 3.5 /nl, however. BASDAI (Bath Ankylosing Spondylitis Disease Activity Index): 4,0. BASFI (Bath Ankylosing Spondylitis Functional Index): 3,8. BASMI (Bath Ankylosing Spondylitis Metrology Index): 1,0. All three indices showed a remarkable improvement under infliximab. After the 5th infusion with infliximab, he developed shortness of breath, fatigue, loss of energy, and a dry cough, so that he had to be admitted to our hospital. Lab: CRP 147.3 mg/l and ESG 41 mm. Testing with IGRA (Interferon-Gamma Release Assay) has been positive now. Transbrochial biopsy and lavage didn’t show acid-fast organisms, but granuloma and a tuberculosis positive PCR. A fourfold tuberculostatic therapy has been started and the patient is doing fine. TNF-alpha inhibitors need pre-treatment screening, but one also has to keep being alerted during therapy. 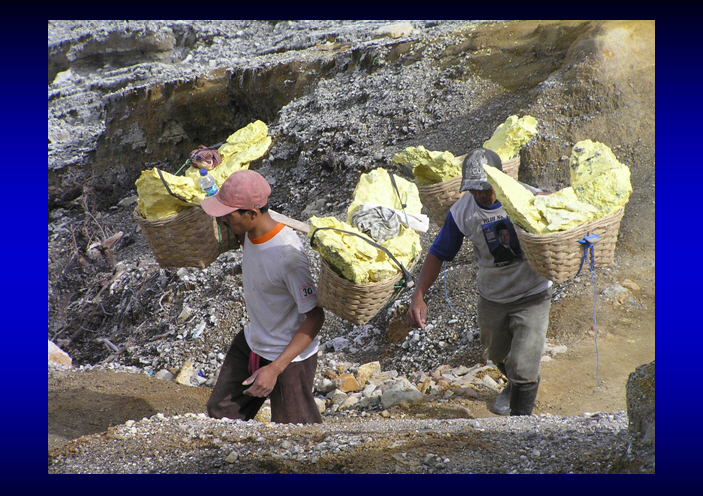 Tuberculosis is a threat, but can be managed if diagnosed rapidly. The question remain, however, what we will do after the tuberculostatic therapy as our patient still is suffering from a severe form of ankylosing spondylitis. Mehr Sicherheit im Straßenverkehr. Heute läuft wieder ein Blitzmarathon in Nordrhein-Westfalen, d.h. die Polizei blitzt 24 Stunden verstärkt an vorbekannten, im Internet genannten Stellen (Link: http://www.polizei.nrw.de/website/blitzmarathon/). Kritiker schimpfen über Aktionismus. Ich meine aber, Aktionismus, der hilft die Zahl an Verkehrstoten und –verletzten zu senken, kann so schlecht nicht sein. Heute startet also der dritte Blitzmarathon und Niedersachsen und die Niederlande beteiligen sich. Erste Erfolge werden bereits diskutiert. Die Zahl an Verkehrstoten und –verletzten geht wieder zurück. Jede Gesellschaft bestimmt, welche Werte ihr wichtig sind. Im Verkehr kann das die Schnelligkeit von A nach B zu gelangen sein oder aber die Zahl an Verkehrstoten gering zu halten. Wer mit 50 km/h durch die Spielstraße donnert, nimmt Schaden an Kindern in Kauf. Sind solche Zonen, also Spielstraße oder 30 km/h Zone, sinnvoll? Ja, wenn sich dran gehalten wird, aber dann muss man dies auch überprüfen. Stellt man nicht Zeit und Mittel zur Verfügung, um die Überprüfung (Blitzen) durchzuführen, dann muss man andere Lösungen finden. Heilige Kühe z.B. beruhigen den Verkehr enorm. Das wäre natürlich eine drastische Lösung, aber warum nicht Rindviecher auf die Straße lassen, damit die Rindviecher am Steuer langsamer fahren? Da ich noch bisweilen als Notarzt unterwegs bin, habe ich natürlich ein besonderes Interesse an weniger Verletzten und Toten. Hier sind ein paar Ideen, wie Verkehr sicherer werden könnte. Die Liste ist nicht vollständig. Vorschläge zur Ergänzung sind willkommen. Von Januar bis September 2012 starben auf den Straßen von NRW 73 Menschen weniger als im gleichen Zeitraum 2011. Die Zahl der Schwerverletzten ging um 682 zurück. Heute morgen stoppte der Bus kurz, damit ich in die Straße einbiegen konnte. Das war nett und klug zugleich, denn ich müßte sonst den Bus an der Haltestelle 100 m weiter überholen. So aber wird die Unfallgefahr vermindert. Auf der Autobahn: ein Lastwagen schert aus, ich bremse ab, und dann läßt mich ein Fahrer auf der dritten Spur hinüber wechseln. Rücksicht im Straßenverkehr. Kommt irendwie gut! 240 km/h muss man auch nicht auf Autobahnen fahren. Gefahren können nicht rechtzeitig wahrgenommen werden und der normale Bremsweg beträgt 588 m.
Heute gesehen, jemand macht ohne Nebel seine Nebelleuchte an und brettert mit 120 km/h bei Geschwindigkeitsbegrenzung an mir vorbei. Mit Arthrose bezeichnen wir den Verschleiß von Gelenken und dabei ist insbesondere der Knorpel betroffen. Da sich die Veränderungen langsam entwickeln, sind vorbeugende Maßnahmen bereits für jüngere Erwachsene sinnvoll. Im Alter von 35 Jahren ist bereits jeder zweite von erstem Verschleiß betroffen, ab 60 Jahre fast alle. Die Arthrose wird international und durch das Internet auch vermehrt bei uns Osteoarthritis genannt. Die Endung –itis in medizinischen Begriffen bezeichnet Entzündung; warum dies richtig, aber unglücklich ist, wird später erklärt. Und das Internet sowie die Illustrierten sind voll mit Werbung, was alles helfen soll bei Arthrose. Aktuell etwa Litozin, Hagebuttenpulver. 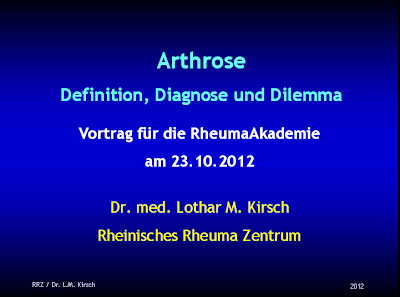 Hier steht mehr dazu, warum Hagebutte frisch nicht schlecht, aber Hagebuttenpulver völlig überflüssig ist: http://rheumatologe.blogspot.de/2012/10/arthrose-und-hagebutte.html. Nun zu einigen Beispielen. Wichtig sind immer Gelenkspaltverschmälerung und Knochenaufbau im Rahmen von Abstützvorgängen. Die Entwicklung der Polyarthrose vollzieht sich zunächst langsam, so dass Betroffene es kaum verspüren. Warnende Schmerzen sind häufig zu Beginn überhaupt nicht vorhanden. Irgendwann einmal sind die Veränderungen an Knorpel und Knochen so weit fortgeschritten, dass sie die Beweglichkeit des Gelenks beeinträchtigen; Mühe beim Aufstehen morgens oder nach längerem Sitzen oder Anlaufschmerzen treten dann regelmäßig auf. Dieses Stadium mündet in einen Teufelskreis: weniger Bewegung, weniger Zufuhr von Sauerstoff und Nährmittels, aber auch weniger Abtransport von Abbaustoffen und freien Radikalen, das führt zu stärkeren Veränderungen, und damit zu noch weniger Beweglichkeit. Seltene Stoffwechselerkrankungen wie z.B. Hämochromatose, entzündliche Erkrankungen der Gelenke wie die Lyme-Arthritis oder die rheumatoide Arthritis, aber auch hormonelle Störungen, Verletzungen, angeborene Entwicklungsstörungen und Gelenkdeformitäten, Gelenkerkrankungen im Wachstumsalter, altersunabhängige Gelenkerkrankungen, systemische, metabolische und endokrine Erkrankungen, neurologische Erkrankungen, Überlastungsschäden durch Beruf und Sport, posttraumatische Veränderungen (Unfälle! 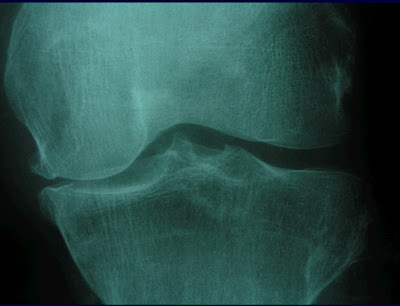 ), und weitere mehr können die Entwicklung von Arthrosen begünstigen. Hyaluronsäure- und Hylan-Derivate (Adant, Arthrum H, Artz [Artzal, Supartz], Durolane, Fermathron, Go-On, Hyalgan, Hylan G-F 20 [Synvisc], NRD-101, Orthovisc, Ostenil, Replasyn, SLM-10, Suplasyn, Synject und Zeel compositum) zeigen sich überlegen gegenüber Placebo und haben auch einen länger anhaltenden Effekt als intraartikuläre Kortikosteroide bei der Behandlung der Gonarthrose. 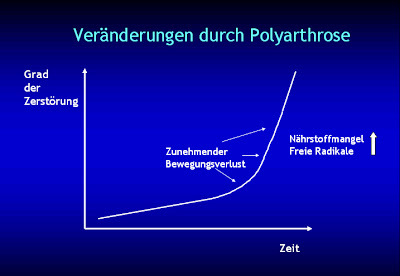 Aber erinnern wir uns, Kortikosteroide sind nicht der Goldstandard in der Therapie der Gonarthrose und nur erfolgreich, wenn auch Entzündung im Gelenk vorhanden ist. In einer Studie zur Gonarthrose wurden zwar doppelt so viele Patienten schmerzfrei als mit Placebo, aber man erreich gerade einmal 25% der Patienten, d.h. 75% behielten ihre Schmerzen. Ich selbst habe die letzte solcher Injektionen auf Wunsch ca. 2006 durchgeführt. Bei der Radiosynoviorthese wird radioaktives Material mit geringer Eindringtiefe in betroffene Gelenke gespritzt. Die Methode ist bei entzündlich-rheumatischen Erkrankungen sehr erfolgreich. Bei degenerativen Veränderungen ist die Methode nicht Erfolg versprechend (unten stehen dazu noch Links auf weitere Informationen). In Kliniken, Landschulheimen und anderen Institutionen wird häufig Hagebuttentee ausgeschenkt. Nun finde ich bei meinen Recherchen den Hinweis, die Hagebutte helfe auch bei Arthrose, insbesondere das Pulver mit dem Namen Litozin. Man konnte dazu eine Ernährungsberaterin und eine Diplom-Sportwissenschaftler befragen. Es wird sich auf Studien bezogen, die bereits 8-12 Jahren veröffentlich worden sind. Die wesentliche Studie wurde von Warholm und anderen veröffentlicht: http://pdfnet.dk/doc/hyb/ctrpm.pdf. Die Studie weist erhebliche Mängel auf, denn von 100 untersuchten Patienten wurden nur die Hüftgelenke von 44 Patienten und die Kniegelenke von 56 Patienten ausgewertet. Interessanterweise tauchen jeweils 25 Patienten in der Verumgruppe auf, während sich 19 Hüftgelenkspatienten und 31 Kniegelenkspatienten in der Placebogruppe wieder finden. In den Auswertungen zur Beweglichkeit der Hüftgelenke werden Prozentangaben verglichen. Nimmt man die Differenzen, dann sieht die Placegogruppe sehr viel besser aus. Beugung: +4.19° Verum / +4.43° Placebo, Außenrotation: +1.87° Verum / +2.88° Placebo, Innenrotation: +3.38° Verum / +4.55° Placebo. Für die Bewertung der Schmerzen fehlt ein geeignetes Werkzeug. Teilweise wurde nur die Auswahl zwischen Ja und Nein zugelassen. Würde ich genauer suchen, nehme ich an, käme noch mehr zu Tage, aber mir reicht es schon jetzt. 2x3 Kapseln täglich bei 27 € für 200 Kapseln entspricht etwa 0,81 € Tageskosten. Vielleicht täte es aber auch ein Hagebuttentee für 0,60 € für 25 Teebeutel. Und Sie nehmen gleichzeitig Flüssigkeit auf, die auch der Gesunderhaltung von Gelenken zuträglich ist. Ich bekomme gerade die Zeitschrift "Freizeit heute" in der Teeküche einer Station in die Hände. in Ausgabe 10/2012 S. 67 steht ein Artikel: "Hagebutte - Power für die Gelenke". Wieder wird sich auf die Studie von Warholm bezogen und schließlich handelt es sich um eine Schleichwerbung für das Präparat Litozin: "Bei einem regelmäßigen Verzehr von Hagebuttenpulver (.z.B. Litozin, Apotheke) ...". Ich meine, dass der redaktionelle Teil unabhängig von Anzeigen bleiben muss. Man muss nicht gleich so drastisch wie Henri Nannen reagieren, aber der schrieb einmal einem Anzeigenkunden, der Einfluß auf den redaktionellen Teil nehmen wollte und mit dem Entzug der Anzeige drohte: "Wir scheißen auf Ihre Anzeige!" Nun ja, nicht jeder Redakteur hat das Rückgrat eines Henri Nannen. I’ve told you that you can find solitude and silence next to busy tourist hospots. The Hram Ilias (Храм пророка Божия Илии) is one of these places. Only a hundred meters off the Red Place(Красно площад), virtually next to GUM department store (ГУМ - Главный универсальный магазин), No. 3 on the map: http://www.hramilias.ru/temple/. The small church had been virtually destroyed, but there has been done quite a lot of work to rebuild the Hram Ilias. If you’re interested in the problems of architecture, here’s the link: sorry, only in Russian: http://www.archnadzor.ru/2007/09/24/il-ya-v-torgu/. More material at the following link: http://www.hramilias.ru/temple/history/ - have a look, where it reads “С 1999 года в здании храма начались противоаварийные и реставрационные работы.”, as that’s what the church looked like only a couple of years ago. If you venture inside, you’ll find peace, quietness. Perhaps some when you can talk with the priest (the pope, which in the orthodox church simply means priest), who will tell you about the history. 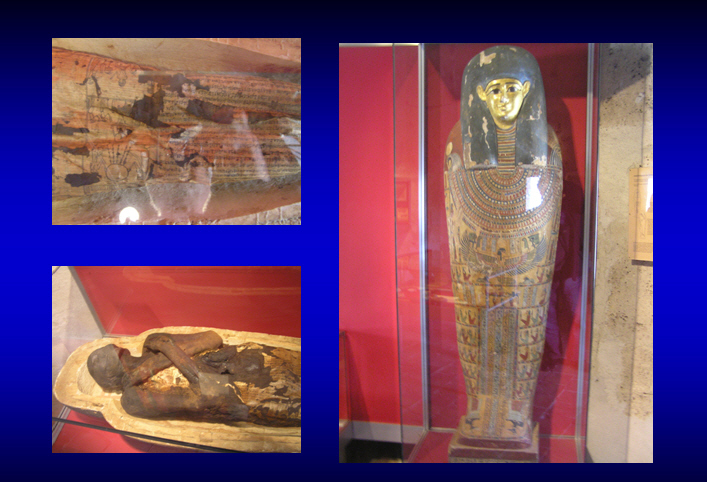 But all in all it’s a good place to get off the tourist track. And - I guess it's a good idea to leave some rubles as a donation. This year I’ve visited Ukraine and Russia with a prologue in Moldova. Friend kept asking me: why do you want to go to Moldava? One reason is, because other people don’t go. You have to look very hard for destinations that aren’t swarming with tourists. Kishinev is such a place. In later blogposts you will also see, that you may be able to find tourist free zones next to tourist attractions. Moldova is a small country in Eastern Europe bordering to Romania and Ukraine, which is on the map since 1991. Its area makes about 80% of Switzerland’s area. The capital of Moldova is Kishinev or better Chişinău on Moldovan, which is virtually Romanian. A small part of Eastern Moldova has proclaimed independence and is called Transnistria, but Transnistria hasn’t won international recognition. It’s quite an adventure to cross a country by train, which has no diplomatic ties. From the small airport you enter a modern city. You can visit the house, where Alexander Pushkin lived while exiled in the region. And look at a picture of Zemfira, his great love, on whon he had written lots of poems. The main religion of Modava is Orthodox Christian. You can visit the churches, even take part in ceremonies. Orthodox Christians use thumb and 2nd and 3rd digit to draw the cross. Roman Catholics draw the cross from left to right shoulder, Orthodox Christians draw the cross fom the right to the left shoulder. When you see that they bow after drawing the cross, it seems more reasonable to do it this way. Aminteste ti gustul -: did you ever had cvas (or квас)? Kvass is made from fermented rye bread, it contains a little alcohol. I’ll come back to kvass later in another blogpost, when I talk monastery kvass like it’s mentioned in Fyodor Dostoevsky's The Brothers Karamazov.